These heather gray Fuzzy Legs™ are accentuated by the super soft coordinating silver/gray trim. I used my very favorite yarn for these. The leg is made from an eco-friendly bamboo knit and is very luxurious. small- fit newborns to approximately 4 months and are approximately 9 inches long. 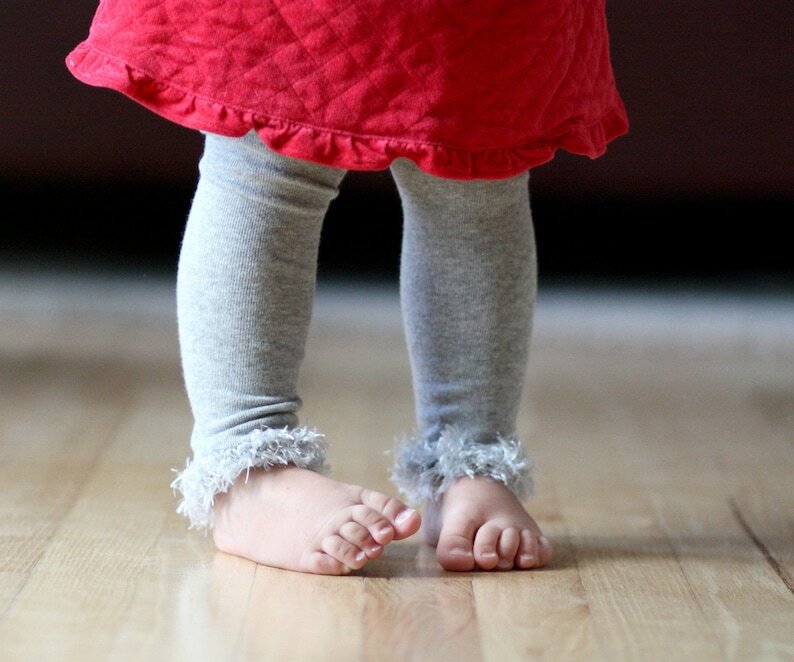 large- fit infants to 2T full length, toddlers above the knee, or girls below the knee. They measure approximately 13” long. !!! !PLEASE NOTE THAT I MADE THESE USING TWO DIFFERENT DYE LOTS AND THE NEWBORN PAIR ARE A MEDIUM GRAY WHILE THE LARGE ARE A LIGHT GRAY. VIEW THE 4TH IMAGE TO SEE THE COLOR!!!!!! !